The blue BSA was built for my son. Completely rebuilt engine and trans. All the cases were rematched on this 1950 BSA A-10 Semi Unit. The parts we DIDN’T make: Wheels, fork tubes and lower legs. 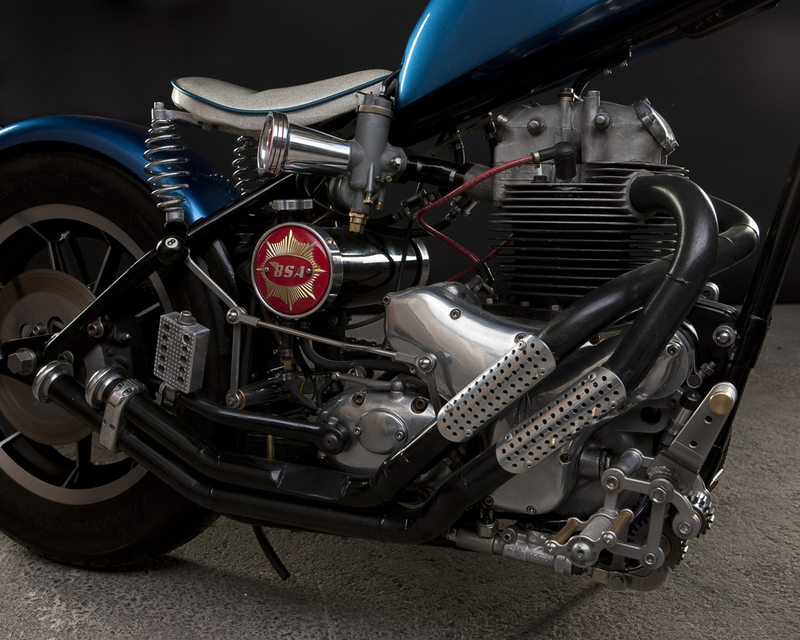 Pretty much every other piece of this motorcycle was concepted, machined, fabricated or modified. All in all, over 220 handmade individual pieces, and well over 1,500 hours went into this bike.